Following what appears to be Volkswagens’ admission that they engaged in civil violations and potentially criminal activity to market their supposedly revolutionary “Clean Diesel engines made in Germany, Volkswagen’s has initially reserved $7.3 billion for the worldwide elimination of sensor defeat devices on 11 million VW and Audi vehicles at a cost $663 per vehicle. But it seems that VW at a minimum will be liable for the premiums they charged over the comparable gasoline models range that ranged from $1,000 on Golfs with mid- and high-level trims to $6,855 on top-level Passat and Audi 6 models. While used diesels historically had better used-car resale that may not prove to be the case going forward. If VW was liable to customers who paid an average premium of $2,000, the company would owe another $22 billion. But the ultimate costs to the company will also include huge government fines and penalties. The U.S. Environmental Protection Agency has already issued a ‘Notice of Violation’ of the Clean Air Act to Volkswagen AG and Audi AG alleging that the companies “used software that circumvents emissions testing for certain air pollutants” on four-cylinder diesel equipped cars from model years 2009-2015. The State of California that led the multi-year investigation, has separately issued VW Group an ‘In-Use Compliance’ letter. In addition, the FBI and other law enforcement agencies are investigating potential criminal violations. 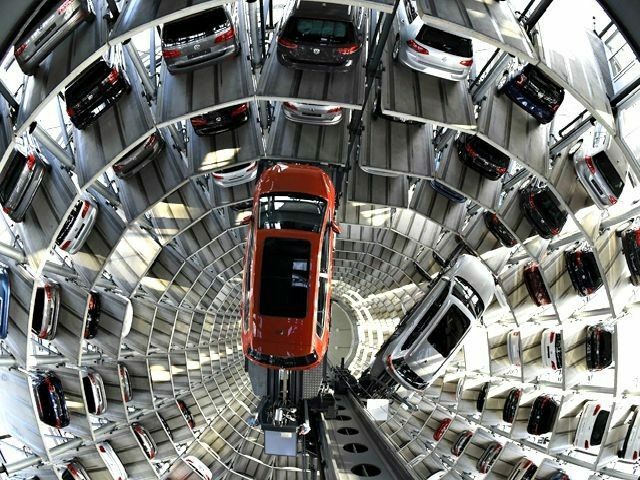 VW Group is Germany’s biggest company, accounts for almost 20 percent of the nation’s industrial production and employs 250,000 Germans. The company as the world’s largest automaker, produced 10.137 million vehicles in 2014 under the nameplates of Volkswagen, Audi, SEAT, ŠKODA, Bentley, Bugatti, Lamborghini, Porsche, Scania and MAN. Twenty-one of top 100 auto suppliers are German companies and most rely overwhelmingly on VW Group as their prime customer. VW Group will undoubtedly now take the booby prize for the auto-industry’s biggest financial failure away from Ford’s $400 million investment loss from introducing the 1957 “Edsel.” The monstrous car came at a time when the American buyer wanted “smaller, more economic vehicles,” according to Associated Content. Clean Diesels were exactly what consumers wanted, but that is not what VW and Audi gave them. VW Group is now facing price tags of $7.3 billion to turn off the “defeat device”, tens of billions of dollars in potential customer rebates, billions of dollars more in government fines and penalties, plus decades of pollution health care claims.